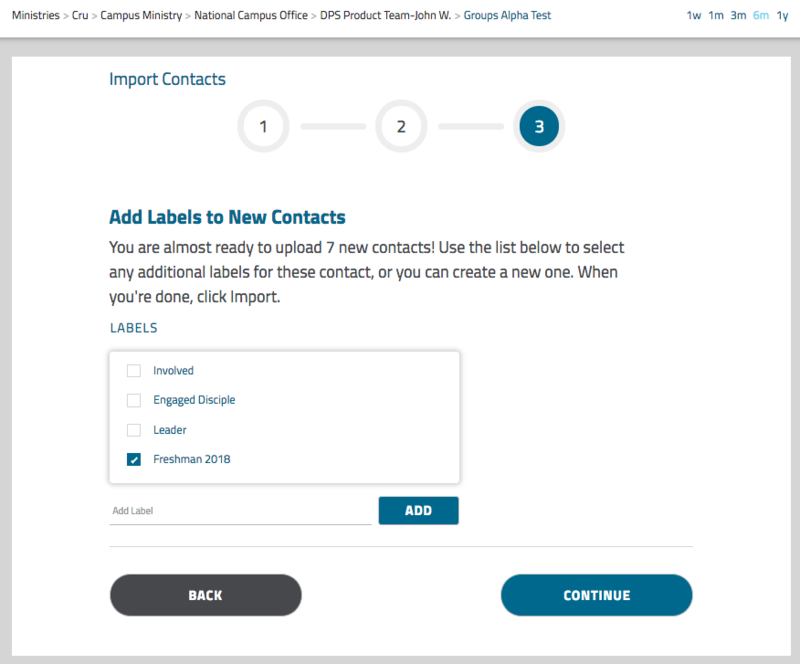 Importing contacts to MissionHub is quick and easy! To access, hover over Tools in the menu bar for your ministry and select Import Contacts. Next, select the survey these contacts have answered or that you would like them to be associated with. 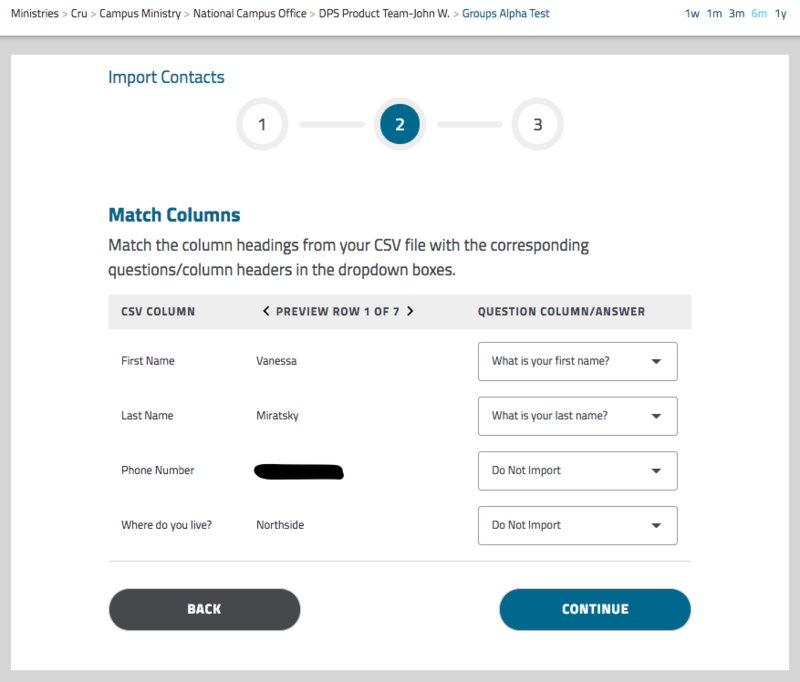 In order to import contacts, they should be connected to a survey. 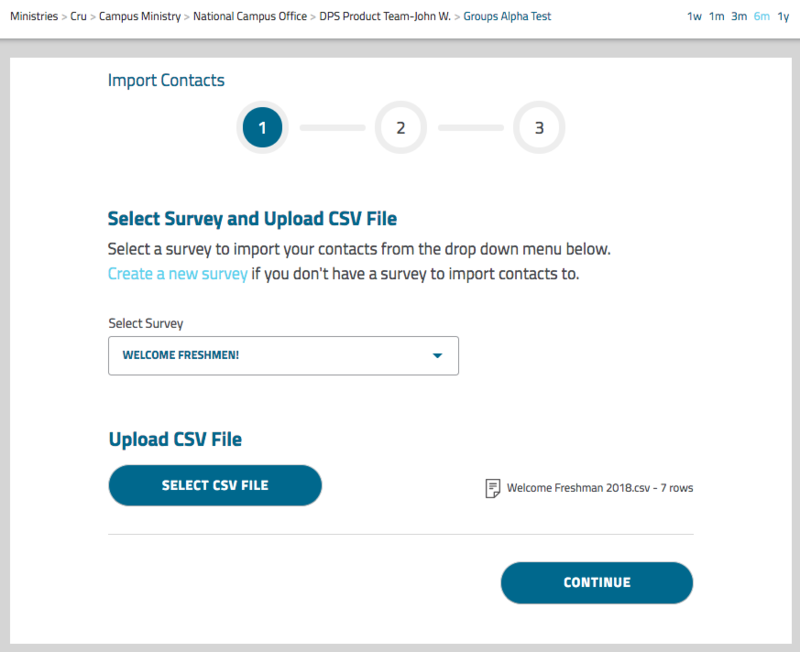 You can create one by clicking on Create a new survey on Step 1 of the import. 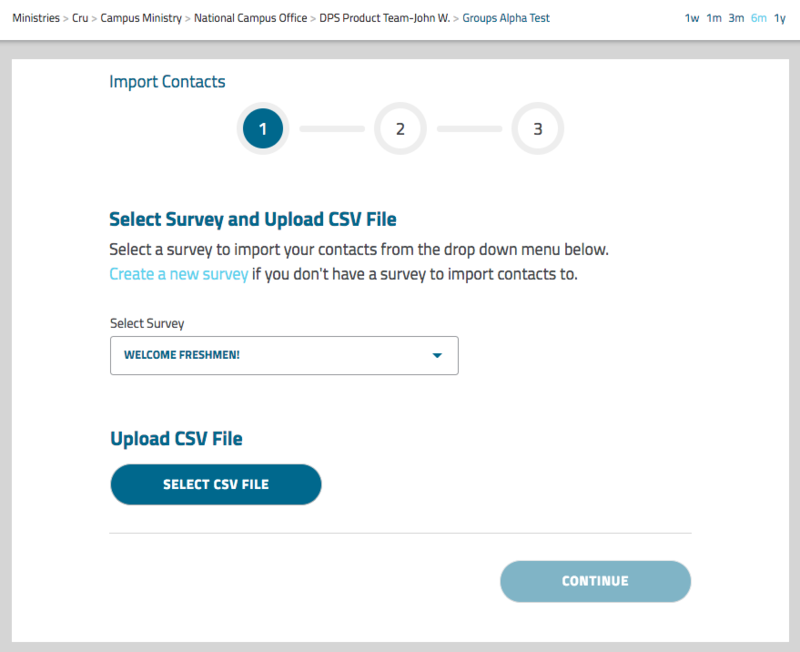 After selecting your survey, you can select the appropriate CSV file. Hit Continue, and now you can match the columns or skip any if needed. You'll also be able to preview the rows to make sure the rows are correct in the CSV file. Next, you can add labels to these contacts. You can choose from any existing labels or create a new one right there! Select as many labels as needed. Note: It won't create a new label for the import so you will have to choose or create one on this step. 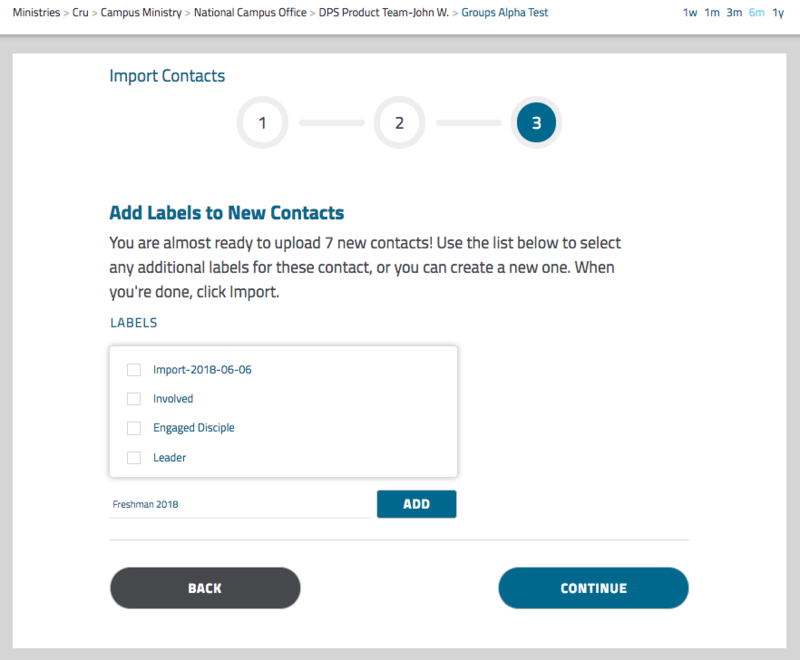 Next, hit Continue to import your contacts - that's it! You will receive an email once it has finished uploading and/or if there were any issues.